Is there any way we can set timers to switch off internet access at certain times of the day please? You can setup 7 timed access rules to limit access. A rule per device. Some things to keep in mind about the timed access option: A) if you want a block between say 9PM to 8AM you would need to setup 2 rules. From from 9AM to 11.59 and another from 00:00 to 8AM. And that would just be for one device. B) The range options are weekdays, weekends or select a specific date. You can check out those options by browsing to http://192.168.0.1 and signing into the hub -> Advanced Settings -> Security -> MAC Filtering. The Timed Access option is in there. However, if you have quite a few children and they have many devices, the timed access option will be insufficient (due to the 7 rule amount limit) and you'd be looking at putting the Superhub into modem mode and getting yourself a 3rd party WiFi router to connect to it which will support more extensive parental controls and allow way more rules to be specified. I've done the above but it keeps coming up with in Device Name: "No Such Object"? Even though i've copied the digits from the list as above.. I have the same problem. Just switched from BT where I could block all the kids access after 10pm. This is a known issue with the Hub 3.0 (but not any of the previous VM hubs) and I think the only solutions currently are to ask VM for a Superhub 2AC as the Hub 3.0 is not fit for purpose, or buy a third party router that does support time based filtering and put hub in modem mode. My setup: Vivid 200 Optical fibre with Superhub 2 in modem mode connected to a Netgear R7000 router. Telewest/VM user since 2001. I didn't think I'd missed anything in the menus. I'm sure I'm not the only parent on here that has a teenager who wants to spend 24/7 gaming online. I have only been a Virgin Media customer since December and have found the parental controls a lot harder to get to grips with that BT (which I was on previously). I've worked as an IT Technician for nearly twenty years now so I'm reasonably technical. What I have found is that when I eventually figured out how to use the MAC filtering (very technical term why not call it parental controls or such?). It never seems to work properly. For example, on the few occasions I have had to resort to using it out of sheer desperation to get my little angel to do some homework or something constructive it blocks the Xbox but no the iPhone. When I then try to remove the block after he has done said homework he still can't connect. In the end I had to faff around rebooting the wireless router and remove the device from MAC filtering altogether. After a lot of washing of teeth and pulling of teeth he eventually gets connected but I have to say. Does it need to be that hard when BT was so easy to block or not block. Why have Virgin Media made this so arduous for us parents who care enough about our children to not just let them game constantly. Today I am trying some testing on my own device (Android phone). Checked the MAC address on the phone, added it to the block list for two hours (10am - 12pm) but it has stayed connected the whole time. I then tried calling Virgin Tech Support and just keep getting automated services like "running diagnostics on your broadband" "resetting your TV PIN" etc but no opportunity to speak to a Human being. Then I try to go on to web chat...all the helpers are busy at the moment please try again later. I will probably be busy carrying on with my life later so not much help there. 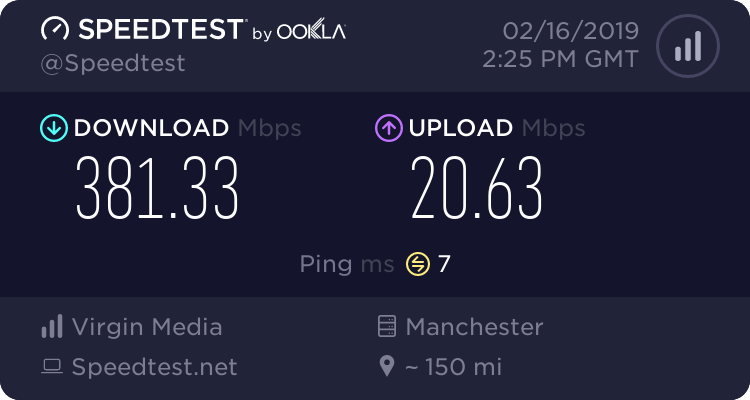 I'm seriously considering going back to BT even though the connection was not as good. I would be very interested to see what other members of the communist have to say about this. Apologies for ranting on and thank you for reading if you got this far. to be honstly say you can do this take the plug away from the router dueing some hours if you have other stuff to do offline do that you don't really need the router on all night if you don't use it if you have a safe put the router and plug in there becuse i know some parents do or take the gaming consle away they have to learn they have school work to do you have to be tough on them when they at school i did not have a consle in my room it was in the lounge and say moblie phones they have can be left with you untill they finshed there home work. i know back then i did not have a pc or a laptop in my bedroom even a tv i think parents should go back to this and leave moblie phones down stairs. @Meseeks As I have already suggested on this thread, you can buy a third party router that does support the parental controls you require and put the VM hub in modem mode. This will resolve your issue and may well result in other benefits as many third party routers have better Wi Fi and useful features like sharing devices via USB ports or QOS settings to prioritize gaming or video streaming traffic. I don't have kids so can't say which routers have the best controls but I'm sure Google or the reviews on Amazon can help with that. My setup: Vivid 200 Optical fibre with Hub 3 in modem mode connected to a Netgear R7000 router. Telewest/VM user since 2001.